Deregulation which brought in competition in the telecommunication industry was introduced a decade earlier when compared to many other European countries. However, realizing meaningful competition in the telecommunication sector was a slow process for companies like British Telecom due to certain national dynamics. British Telecom was privatized in 1984 and it is also in this year that deregulation policies in the telecommunication industry were initiated. The 1980s saw the British government introduce a ‘duopoly policy’ in telecommunications which allowed the entrance of another market player, Mercury, into the industry. Despite this, British Telecom was still the dominant player as compared to Mercury. The UK government further allowed many other firms to enter the telecommunications industry mainly to enhance competition. Entrance of other players also meant that new innovations and infrastructure could be introduced in the industry unlike earlier when British Telecom was the only telecommunication service provider. Deregulation of the sector scrapped the price cap regulation on British Telecom which meant that the company had to depend on normal forces of demand and supply to determine the prices of their products and services. The changes that the government was introducing in the 1980s were also aimed at making the British telecommunication industry an international standards leader. 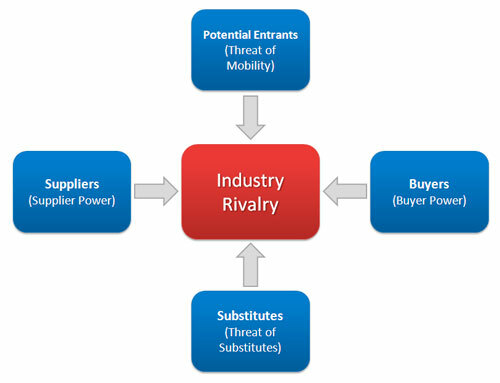 However, the industry was facing a competition crisis due to the existence of a duopoly policy in the provision of telecommunication infrastructure. The duopoly policy that mainly benefited British Telecom and Mercury was later abolished in 1991. New entrants in the provision of local access services such as Cable Television came into the market consequently increasing competition. It is from this move that major development on radio based telecommunication and mobile based systems such as PCS and radio access emerged. These new technological advancements brought about major influences in the telecommunications sector; something which had not been experienced before in the United Kingdom. Initially, the privatization of British Telecom saw a price cap formula being introduced which meant that the company had to depend on rate rebalancing to determine prices. Further reforms in deregulation the industry have been deployed in recent years through, for instance, the announcement of the Chancellor of Exchequer, Gordon Brown, that as Better Regulation Action Plan was to be enforced as from May 2005. This new policy reduced the number of regulations from 29% to 7%, bringing about a 25% reduction in bureaucracies which also saw the Better Regulation Executive being transformed into the Regulation Commission. Today, competition is very high due to presence of many telecommunication companies that are periodically releasing of exciting and attractive offers to their customers. The most popular industry players among UK residents are BT Group, Virgin Media, BskyB and TalkTalk. British Telecom is a multinational telecommunication company whose headquarters are in London, United Kingdom. It is one of the largest telecommunication service companies in the world with presence in over 170 countries. Through its global service division, it supplies telecom services to corporate and government customers around the world. British Telecom Retail Division is a major supplier of telephone, broadband and subscription services in UK, having approximately 18 million customers. In 2012, British Telecom was unveiled as an official partner of London Olympics 2012 where it operated data network across 94 locations. The 2012 London Olympic Games were the first Olympic Games to completely rely upon VoIP (Voice over Internet Protocol) and Wi-Fi (Wireless) to relay information to the public. 1878-1969 January 1878: The First telephone was demonstrated to Queen VictoriaOct, 1969: The Post office ceased to be Government Department. 2001-2006 July, 2003: Office of Communications (Ofcom) introduced to replace Oftel.BT gets its Universal Service Obligation (USO) for UK, excluding the hull area. 2006-present 1 April, 2009: BT Engage IT created14 May, 2009: 15,000 jobs are cut upJuly, 2009: offered workers a long holiday for an upfront sum of 25 % of their annual wedge or a one-off payment if they agree to go part time. Deregulation has seen British Telecom offer its consumers more pushy telephone packages. On the other hand, Ofcom has led to a decrease in pricing principles which has led to increased competition for all. Most communications companies are deregulating their retail services in the telecommunication market which is making British Telecom even more competitive. FTSE 100 group is also now offering some discounts in its packages (broadband, digital or 3G television) which include fixed-line calls for the very first time. Ofcom has said that it had isolated the last bits of regulation after BT’s privatization 25 years. The reason raised was that it had no more market value to remain in UK telecommunications markets. Ofcom’s CEO, Ed Richards, said that it was an essential step in deregulating the telecom offers where competition is the main thing to just serve customers with better offers. Apart from BT customers, there are more than twelve million people residing in the UK who are using other telecommunication services. It is said that Virgin Media, BSkyB and TalkTalk are the most effective competitors for British Telecom. According to estimates released recently, BT has fourteen million customers (fixed-line). Gavin Patterson, CEO of BT’s retail division, said about the new promotion that by this entire competing environment BT will be able to play the game on a better playing field as compared to previous one leading to more exciting offers. He also said that BT will announce new attractive offers in future for its valued consumers. UK residents are taking bundled offers at a large extent. When we compared consumer’s choices by years, in 2008, UK customers have purchased two or more communication services from one service provider at the 46 % of total as compared to 2005 where 29 % did the same. This is according to Ofcom’s most recent counts. According to Ofcom, the actual competition uplift came into being when BT created Openreach in 2005. 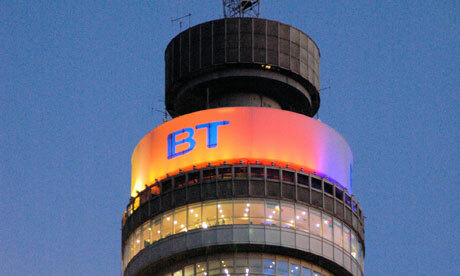 It has also provided services to BT’s competitors on equality basis. According to Kingham (2012), BT shares are one of the most popular shares with investors. BT is considered as a market leader operating in a safe and steady industry that is arguably well insulated from economic turmoil. The following table demonstrates British Telecom’s increase in share prices in for the last ten years (Kingham, 2012). From the table, even if one can ignore the results of 2009, which was the time when most world major economies were experiencing economic downtown, it is suffice to say that, British Telecom has been experiencing a solid growth. Last year alone, despite falling sales and reduced spending by customers, British Telecom still returned a profit. The last quarter of 2012 saw an increased profit of 17% to 575 million Euros. The company also registered a quarterly decline in revenues of 5.8 billion Euros during the same period (Mike, 2012). All these can be attributed to the changes that this company has undergone in the last 20 years. In conclusion, it is now a fact that BT Group is constantly deregulating which makes competition out there for other telecom companies a bit harder. It is also a fact that BT is enabling UK consumers to access reliable and cheap packages choosing options. Hutchison 3G UK is currently allowing consumers to enjoy all calls on half prices as compared to other telecom operators. A wide range of bundles available in the market have enabled the consumer to choose according to his/her needs. This not only shows prosperity in the telecommunications industry, but also increases the chances of gaining benefits global wise in every aspect whether its country’s reputation or the company’s reputation. As this is now the trend in UK, home based and business telecommunication consumers are now able to choose bundles (one or two or so on) according to their needs. Each market player is also offering exciting and attractive packages to its consumers with lots of offers such as free subscription, no initial charges or no line rent or any charges for six months. All these are exciting offers from telecommunication companies which attract consumers. British Telecom is the first company in the UK to introduce public sector telecommunication service which has made BT has its own stage and own reputation. Apart from few drawbacks, BT is still the best choice of its consumers due to its services provided for its valued customers. Whether in Broad Band or fixed line, BT is a good choice of UK residents. Mark Armstrong, Simon Cowan and John Vickers (1994) Regulatory Deregulation Reform: Economic Analysis and British Experience, London, Chapter 7 Telecommunications, pp. 195-244. Mike D. (July 2012). BT profits despite slowdown in sales. European Deregulation Communications. Sylvia Chan-Olmsted and Mark Jamison (2001) .Rivalry Through Alliances: Competitive Strategy in the Global Telecommunications Market, European Management Journal, Vol 19, No. 3, pp. 317-331, 2001. European Management Journal, Vol 19, No. 6, pp. 678-681, December 2001. Peter Curwen (1997) Restructuring Telecommunications Through Deregulation Policy, A Study of Europe in a Global Context, MacMillan Press Ltd, London, Chapter 11 The UK: A Case Study, pp. 129-160. Ernst & Young (2001) Business Redefined: Connecting Content, Applications, and Customers, Ernst & young LLP and Cap Gemini Ernst & Young Joint publication. 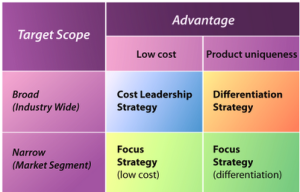 Arnoldo C. Hax and Dean L. Wilde II (1999) .The Delta Model: Adaptive Management for a Changing World., Sloan Management Review, 1999 40 (2), pp. 11-28. Jean-Jacques Laffont and Jean Tirole (2000) Competition in telecommunications, Cambridge, Mass. ; London: MIT Press, 2000. David M. Newbery (1999) Privatization, Restructuring, and Deregulation of Network Utilities, The MIT Press, Cambridge Massachusetts, London, England, Chapter 7 Liberalizing Telecommunications Industry, pp. 291-340. Michael E. Porter (1995) .Toward a dynamic theory of strategy. In Rumelt, Richard P., Schendel Dan E. and Teece David J. (Eds) Fundamental Deregulation Issues in Strategy. AResearch Agenda, Harvard University Press, pp. 423-461. Bernard W. Wirtz (2001) Deregulation Reconfiguration of Value Chains in Converging Media and Communications Markets., Long Range Planning, 34 (2001), pp. 489-506. OFTEL Statement, Deregulation Pricing of Telecommunications Services from 1997, June 1996, 6.54.